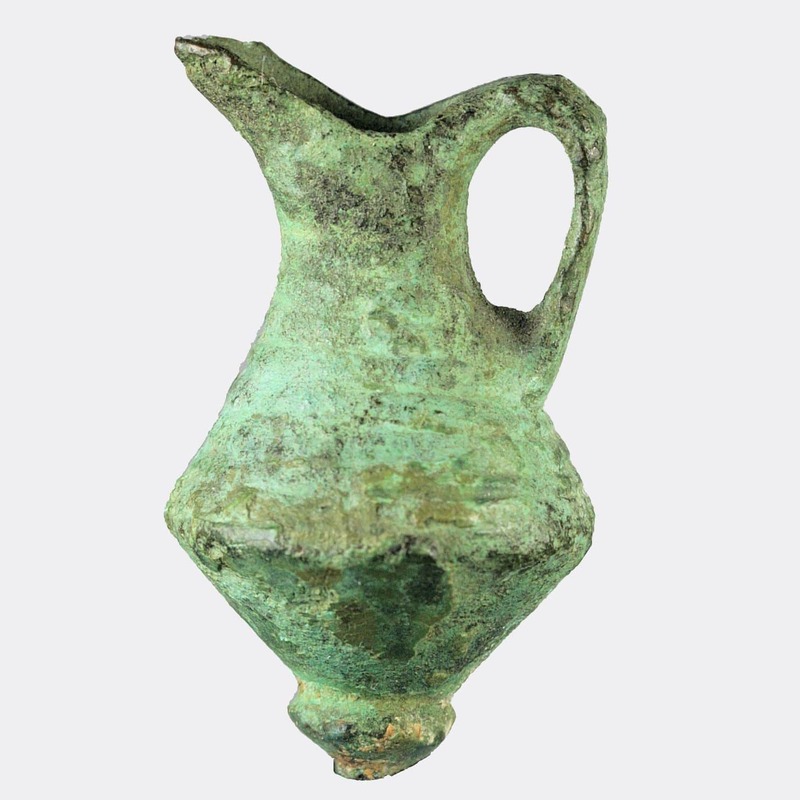 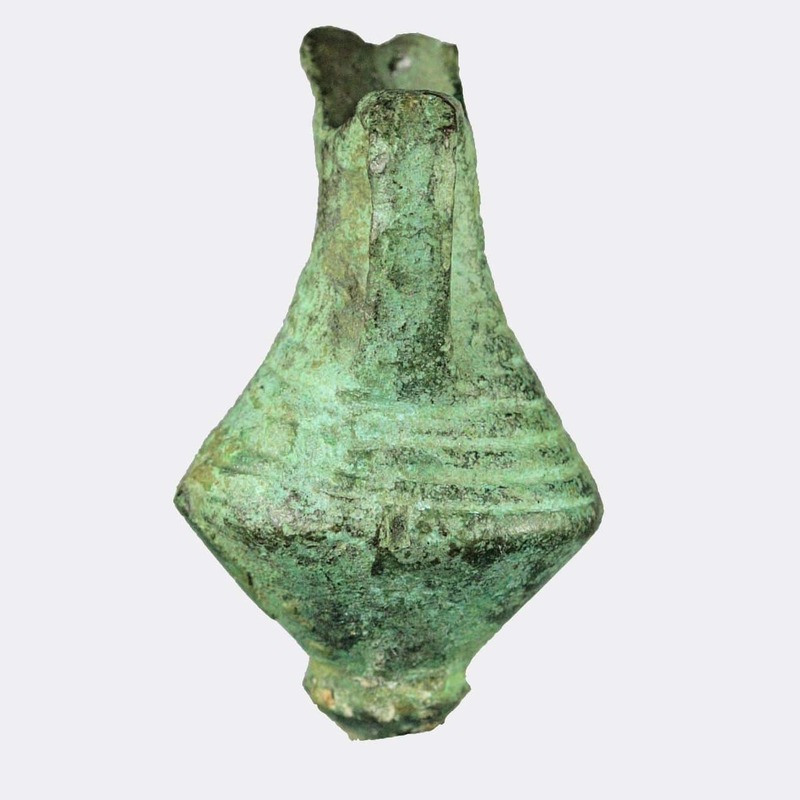 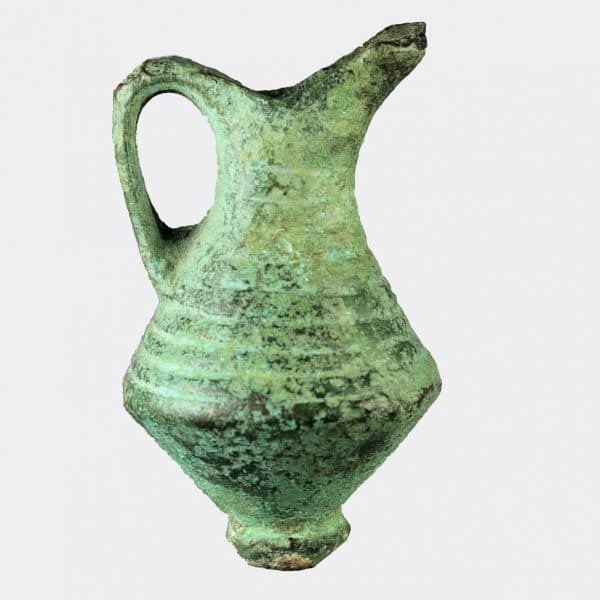 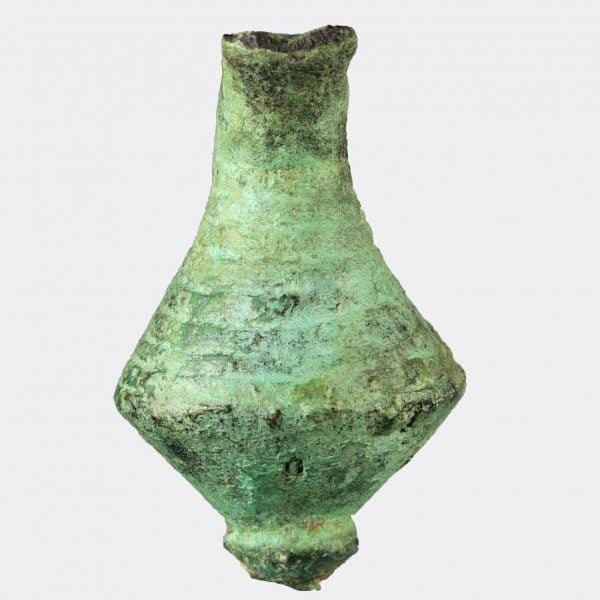 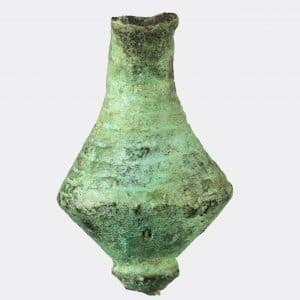 A bronze votive offering in the form of a beaked jug with ribbed decoration on the body. Ex. 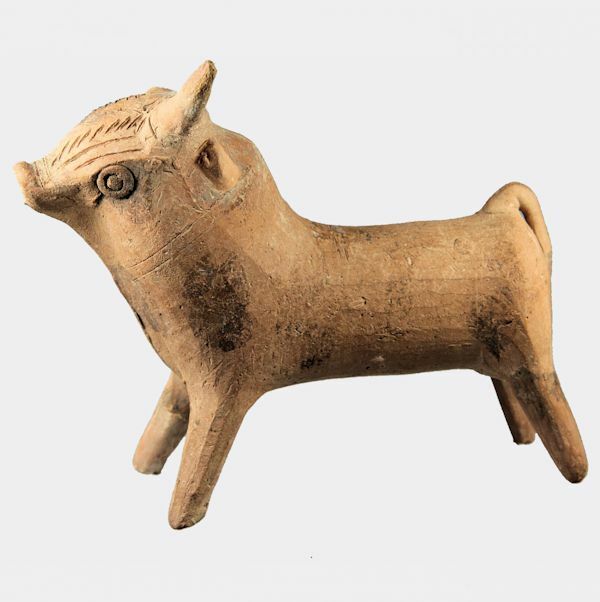 private collection, Germany; acquired before 1961.